After many, many years of attending the FISA World Rowing Championships all over the world, the event was held for the first time in the US since 1994. The first event Erynn and I ever attended was in St. Catharines, Ontario in 1999, which was pretty close. Our travels have taken us all over Europe and even to New Zealand and Korea. 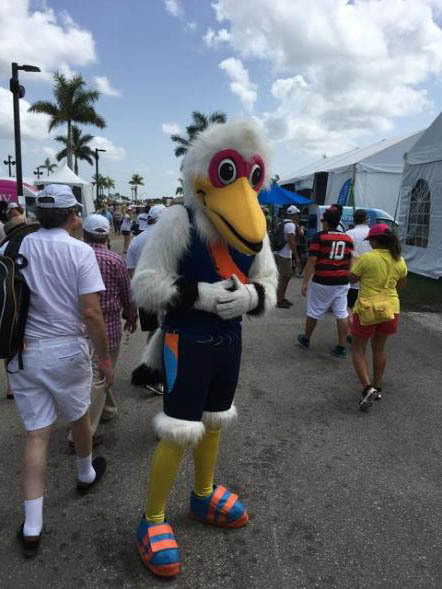 The 2017 event was held in Sarasota County at the newly constructed Nathan Benderson Park. Having an event in the US allowed Doug's parents to attend, and we rented a nice house on AirBnB to have a nice extended family vacation. What made the location even more special was that Doug's grandpa lived in the area for a number of years so allowed him and his family to reminisce a bit. Many sites had not changed in 30 years... and hopefully our kids will remember and pass on the good family memories. All in all it was a great, and we hope you enjoy our photo journal from the trip. Greta had a wildlife book that featured the Mote Marine Lab. when she found out we'd be in the area for our vacation, it was of course, the first thing we'd have to visit. The book was about stingrays, and the highlight of her trip was to be able to pet a stingray! Both Greta and JB had a blast collecting shells and playing in the sand. JB was even lucky enough to snag a bunch of coconuts that washed up. After a relaxing evening, the kids voted to hit the beach first thing the next morning. 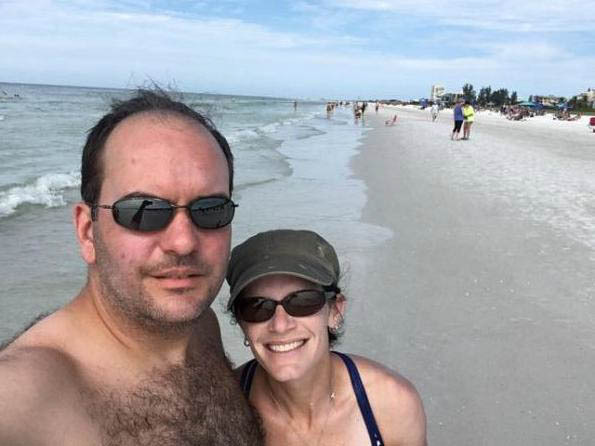 We drove to Siesta Key Beach, which has some of the purest, fluffiest white sand in the world. ...and so did the adults. Another trip down memory lane was a short visit to the Mixon Fruit Farm. After an ice cream treat, the kids fed the coy. In Manatee County is De Soto National Memorial Park, and we paid a brief stop. The park itself celebrates Spanish exploration of the Florida region, but isn't very visually stunning. More historical reference than natural wonder. In an attempt to get the kids excited by national parks we bought each of them a Passport to the National Parks. Here you can see them showing their first stamps to grandma. One of the highlights of a trip to Bradenton was always visiting Snooty the manatee at the South Florida Museum. Unfortunately, was killed in an accident in 2017 so we were left with visiting the natural history exhibits, planetarium and aquarium. Still worth the trip, but a bit sad too. After a day of site seeing, we were able to celebrate Doug's dad's birthday, which was a huge treat for the kids. A huge treat for the kids! Wrapping up the beach portion of our trip was an afternoon at Cortez Beach. I didn't take pictures of us trying to catch tiny fish by the pier, but it was a fun afternoon. The venue, parking, ticketing, vendor area and everything else was a bit over the top compared to European editions of the race. The purpose built venue was amazing and the US did ok on their home waters. Even the entrance from the parking lot had signage and flags everywhere. The finish tower and grandstands were completed just in time for the event and were definitely world class. Here's a view of the course and grandstands from the top of the finish tower. And this being America, they even had a mascot. Meet Scully! You're welcome. The whole family got upgraded both directions. The boy is spoiled. Check out his spread on the way there and back!